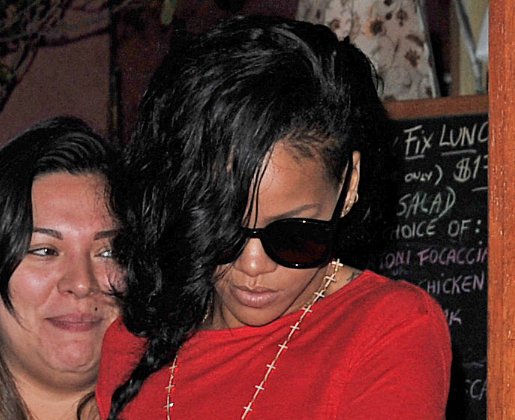 Rihanna was spotted having a quiet dinner at her favourite New York Restaurant Da Silvanos with her friends. Although she was rumored to be in the club when the brawl started, she was spotted heading back to her hotel earlier. A lot of blame is being cast at Rihanna for the fight, however, she has remained silent since the incident. How is she to be blamed for their bad judgement. They are GROWN a$$ men acting like little kids. They need to grow up already and stop the BS. Rihana is so very beautiful and charming in the dinner.